Read the Bible better – a.k.a. Exegesis & Hermeneutics. Because all of us come with assumptions and perspectives – often unconscious & untested – we’ll be exploring the process of reading, so we might understand the Bible better. Preach the Bible better. As we seek to read the Bible better – through exegesis and hermeneutics – we’ll explore the implications of these things for good preaching. Live the Bible better – a.k.a Ethics. As part of this, we’ll explore the Bible’s implications for ethics – again with a focus on how we preach/communicate Biblical ethics. Bruce received his first doctorate in Analytical Chemistry and taught, consulted and researched in a university setting over several years in both Chemistry and Chemical Engineering . After completing theological studies he worked in youth ministry and church revitalization. Bruce is in the final stages of a doctorate in New Testament Studies / Ancient History, where his thesis has focused on the cultural background to Romans. 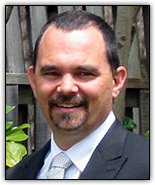 He is Assistant Professor of New Testament at Reformed Theological Seminary in Atlanta, Georgia. Rick is on the staff of Banstead Baptist Church, and currently is seconded as the minister-in-charge at Sandcross Church, Reigate, UK. He studied theology at Moore College, Sydney, and is currently undertaking a part-time PhD in ethics through London School of Theology.